It is July 2015 and winter has arrived with a vengeance in the Western Cape. It is weather for hearty soups, casseroles and snuggling under the blanket with my 3 Jack Russell’s! Celia from Fig Jam And Lime Cordial kindly gathers us together each month to show off what is in our kitchens. This month I have quite a lot of things in my kitchen to share with you all. 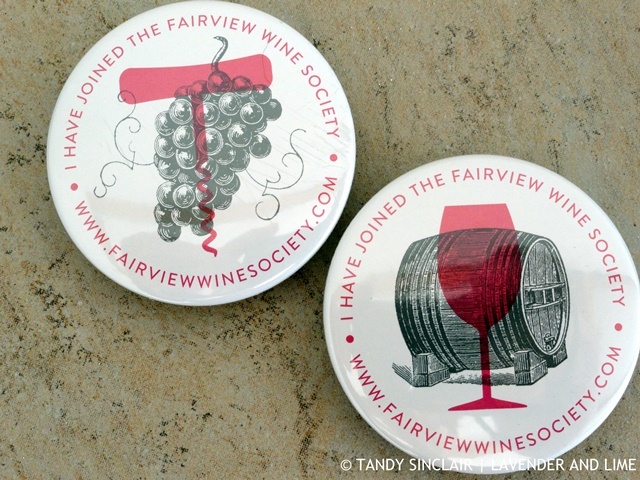 When we did the master class wine tasting at Fairview we were given magnetic badges for being such good sports! I am using mine on my fridge to keep the recipes I am making in place. I am not the world’s best food stylist, but I do try! And to make my styling a bit more fun I bought myself some chefs tweezers. I hope I have the patience to use them. which I used by pressing fresh guavas (which I received from the lovely Teresa), through my juicer. I am hoping to turn the juice into something special. 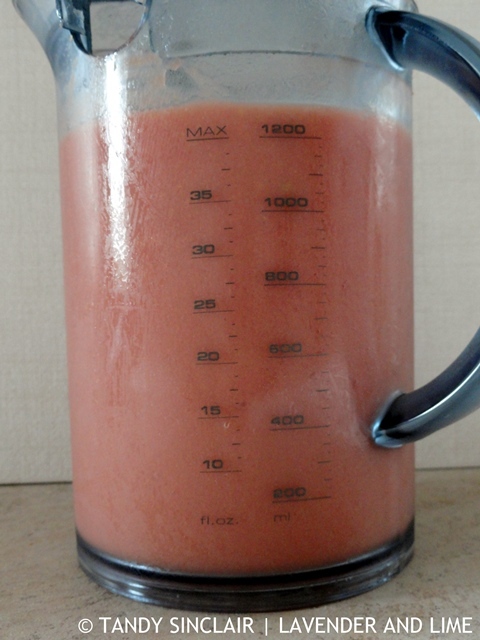 In the meantime I have frozen it until I have time to make the best use of my juice. 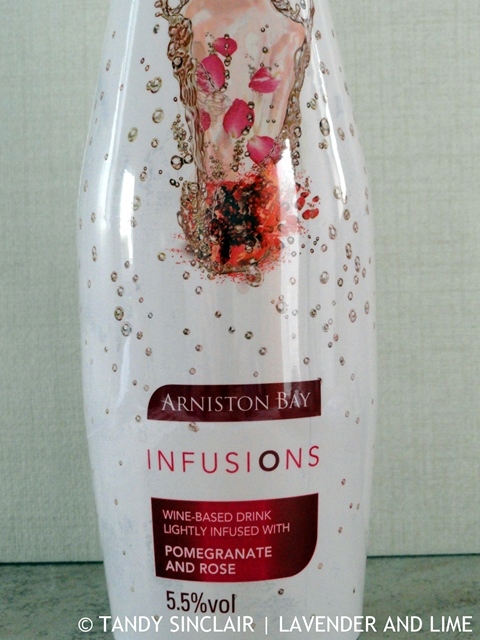 I bought 2 bottles of the Rose and Pomegranate Infusions at the GF&WS. Sadly, the lid is not very good so I would suggest if you buy a bottle that you drink it the same day you open it. I have been using the flat infusions to poach guavas in. My old pizza pan lasted 4 years but the handles are now giving way, and the non stick coating is scratched (my fault). I bought a new pizza pan which I have found is larger than the older one. I have been baking biscuits every few days using it. 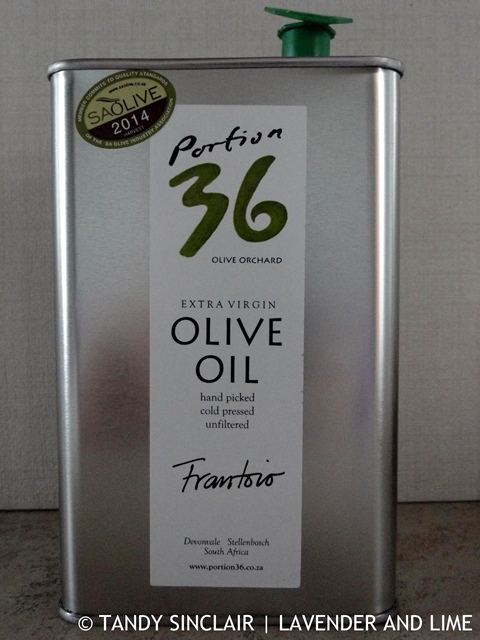 From the GF&WS I also came home with the best finishing olive oil I have tasted in South Africa. I have told Dave he cannot use this for cooking as it is that special, and quite pricey for ordinary use. Now I have to make risottos! Nothing can better a good olive oil! I love the badges Tandy and cannot remember the last time I tasted guava! I am salivating even though I cannot place the taste, so obviously I must have enjoyed my last experience! Tandy, how I envy you your stash of guava juice in the freezer! I always feel like I’ve accomplished something when I freeze or can things. Ooohhhh those fresh guavas look and sound amazing! I’ve never had fresh guava juice before. What a treat! 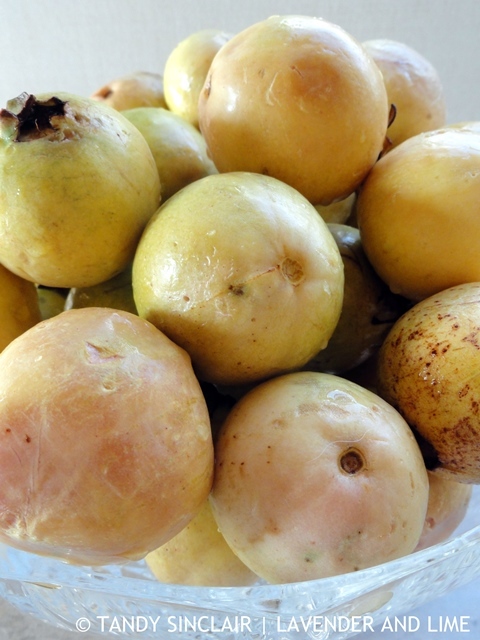 I love, love, love guavas and guava juice. If we ever holiday anywhere tropical, I always look for them on the breakfast table. I’ve never thought of using a pizza pan for biscuits. Thanks for the idea. 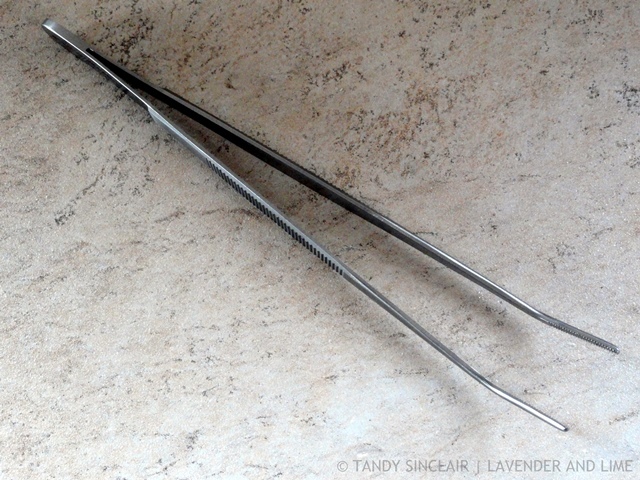 Chef’s tweezers Tandy, you are getting serious! i love a good olive oil. i know lots of chefs say don’t use it for cooking but i always have and have no regrets:) scorpion? eek. what do you do with it? i had a bit of a giggle when you said you got juice from squeezing teresa thru your juicer:) yep silly me. So hard to imagine you’re heading into winter as we gently slide into summer here in NY. I’d love to taste that finishing oil. I bet it’s delicious. The oil is delicious, and enjoy your summer! That extra olive oil looks amazing. I wish I could find that brand here. I’m definitely going to look for it on amazon. 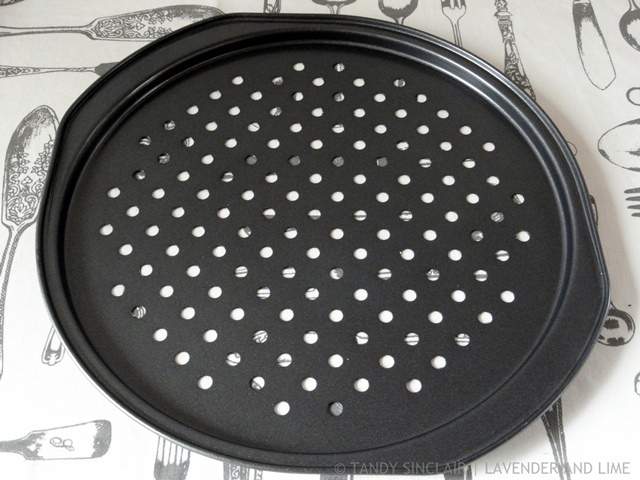 And I am definitely in need of a pizza pan Mandy, thanks for reminding me :). The oil is only available locally. 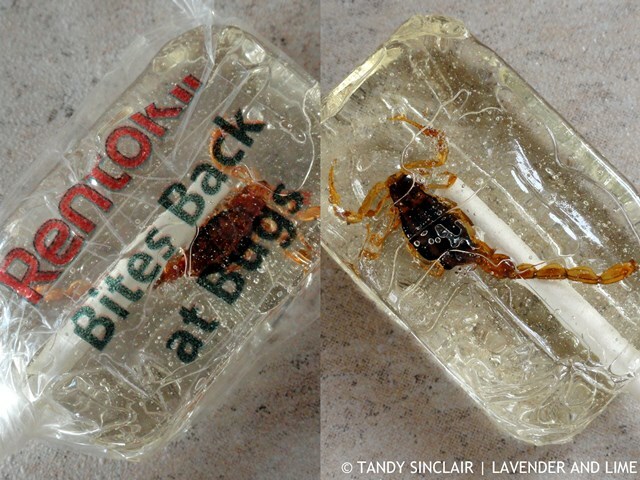 Hi Tandy, great new gadgets in your kitchen, I was once bitten by a scorpion and I was almost paralyzed for a few days, they are awful insects. That must have been really scary! Loving those badges! Those are so sweet! Insect Pack?!?! You are a most adventurous eater. WoW! Scorpion suckers!!! I love a good olive oil. Gives me an excuse to make lots of bruschetta… not that I need one. Bruschetta is not something I make that often! I would thoroughly enjoy a glass of your guava juice. Ha ha, never thought of that, and I sell them!